The Young Plan, signed in Paris on June 7, 1929, is an extension of the Dawes Plan (1924). It allowed Germany to reschedule both the payment of its remaining annual war indemnity, as well as its repayments related to its public debt as a result of many loans. The Young plan was never really executed because of the consequences of the 1929 crisis. 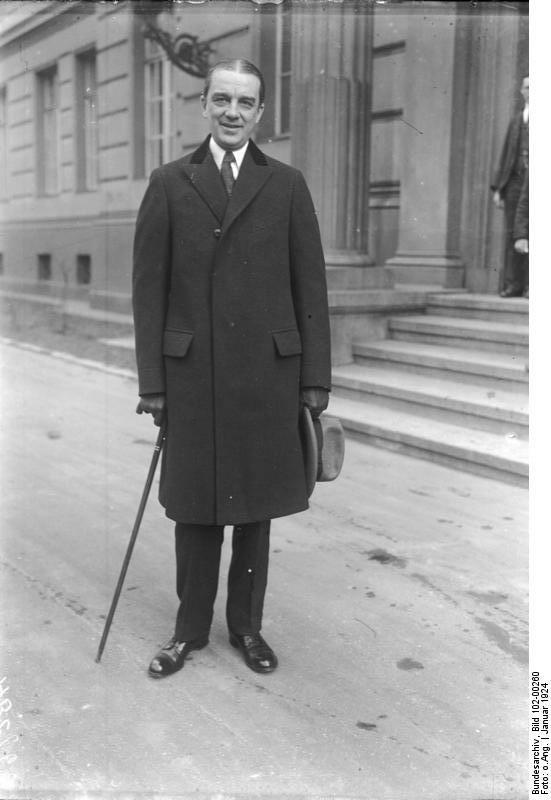 In 1929, at the end of the Dawes plan, which consisted in 20 billion gold marks settled over ten years, the Americans, who were the main donors, set up a new budget plan for the remaining German debt. The Young Plan considerably reduced the total amount of the reparations owed by Germany (by about 17%) and rescheduled the payments on 59 annuities, making them run until 1988. Moreover, it removed the international control over the railways, the mortgage of a part of the German industries, and the presence in Berlin of the general agent of the repairs, the American Seymour Parker Gilbert. The economic crisis of 1929, which broke out a few weeks after the signing of the Young Plan, led to the gradual liquidation of the repairs. In 1931, the President of the United States suspended all inter-governmental debts for one year. In July 1932, the Lausanne Conference decided that the payment of reparations would end, but its conclusions would never be ratified. In his report of December 1927, the Payments Officer Seymour Parker Gilbert announced that a revision of the Dawes Plan was needed. The interested powers agreed to convene a committee of experts charged with the responsibility of discussing the reparations. In 1924, Owen D. Young chaired the committee of experts. Using Jacques Seydoux’s metaphor, the implementation of the Dawes Plan was similar to the “construction of a house without a roof” (Seydoux 1932). Indeed, the Dawes Plan did not establish the exact amount of money that Germany owed: it only calculated 20 billion gold marks. Therefore, the main question was how long would it take Germany to pay the rest of its debt and interests. The expert panel was therefore convened by Owen D. Young to follow up on the Dawes Plan, that is, to reschedule the payments. As a guarantee, the experts of the Dawes Plan had the Reichsbahn: this railway company was supervised by a high commissioner and a partly foreign board of directors. 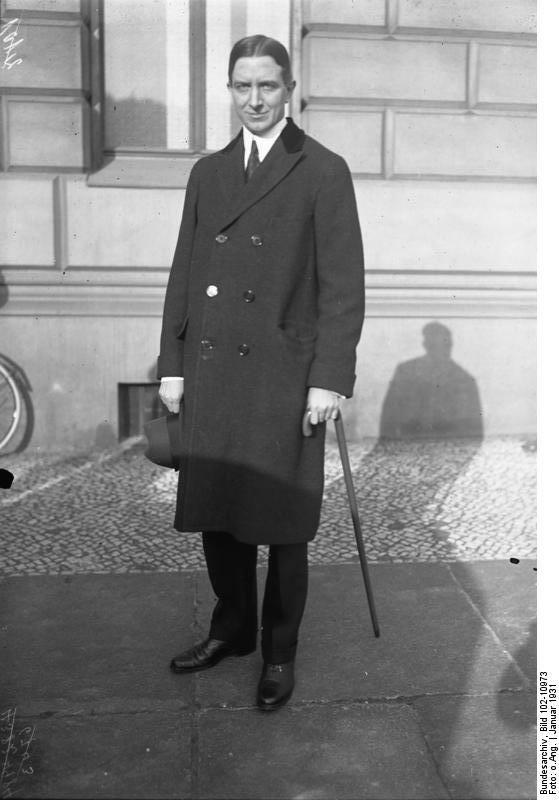 The country recovered its economy in 1924 and 1925 thanks to the economic policy of Hjalmar Schacht, supported by the American financial aid. As Germany was growing economically (5 to 6% on average), banks needed funds to invest and lend. They often found their solution abroad, particularly in the United States in the form of short-term financing. Thus, between 1925 and 1928, Germany’s debt increased from 19.7% to 43.7%. The four major German banks, Danatbank, Deutsche Bank (then called DeDiBank), Commerzbank and Dresdner Bank, competed fiercely for loans from the USA. Loans were granted without precautions to companies and individuals. The level of risk rose dangerously, and in July 1931, Germany’s banks collapsed. Thus, since 1924, consumption and growth in Germany were mainly fuelled by borrowing. This did not prevent the country from paying its sovereign debt. 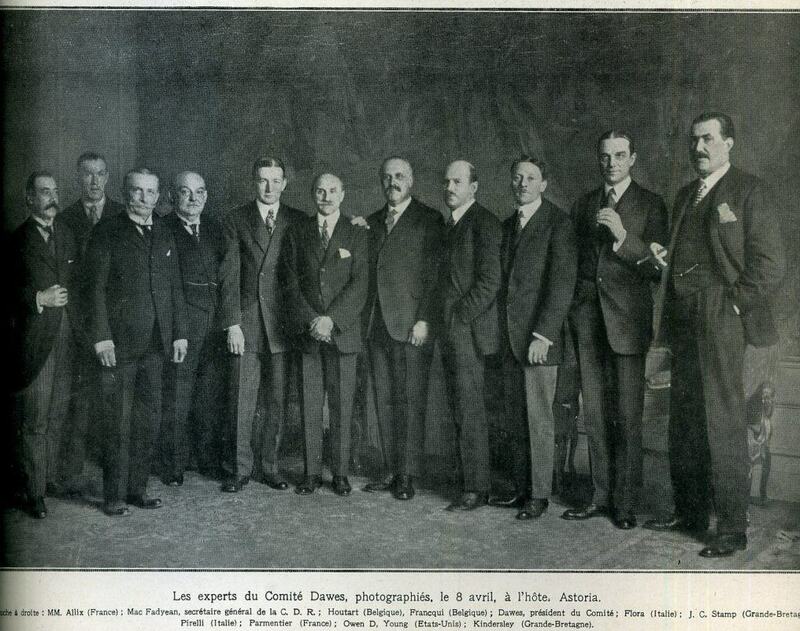 On February 11, 1929, a financial group chaired by Owen D. Young, formed a committee to review the Dawes Plan. Meanwhile, the German press was promoting a strong campaign in order to prove that the committee should study Germany’s problem under a new perspective and that a very large reduction should be made in order for the country to repay the debt. Japanese: Mr. Kengo Mori, K. C. Mr. G. Mr. Takaschiaoki; substitutes: Suburo Snoda, Jasummure Matsui. It is important to notice the absence of Greeks, Serbians or Hungarians. During the committee’s meeting, the possibility of creating a Bank of International Settlements (BIS) was discussed. Such a bank had to receive German payments, ensuring the transfer and distribution among creditors. Essentially, such system consisted in “control without control” (Pépy 1929). The bank would cooperate with all the governments concerned. Its application began in January 1930. In 1930, the French political world, although open to the German issue, notably expressed some criticisms towards the Bank for International Settlements. One of the concerns was that the bank could become a political power since it lent money to governments, and as a consequence, could weigh on European politics. In fact, despite the presence of American and Japanese delegates on the board of directors, the Bank for International Settlements (BIS) was a European bank. In theory, the German public had no reason to protest against the acceptance of the Young Plan, proposed unanimously by the experts. However, in practice, the very wording of the plan, which proposed a refund until 1988, caused its detractors to complain. That is why, on June 15, the National People’s Party of Germany (DNVP) issued a manifesto against the Young Plan, and the population proposed to launch a referendum against it. A “Reich Committee on the Referendum against the Young Plan” was created on July 9, 1929. It included representatives of Stahlhelm (Franz Seldte), DNVP (Alfred Hugenberg) and the National Socialist Party of German Workers (NSDAP) (Adolf Hitler). During the re-examination of the Young Plan, the draft of the “law against the enslavement of the German people” was therefore discussed in the Reichstag on November 29 -30, 1929. However, the law was rejected by the Reichstag and subsequently, by the referendum. During the negotiations and the adoption of the Young Plan, the Fall of Wall Street occurred on October 24, 1929, which brought serious consequences. Firstly, this event caused the United States’ banks to withdraw their funds from Europe and then to cancel the credits that the Young Plan had made (this plan, like the Dawes Plan, was based on US bank loans to Germany). The fall in the level of imports and exports caused world trade to fall by two-thirds by 1933, affecting all the countries of the world in one way or another. Due to the Great Depression, the United States approved the Hawley-Smoot Act on June 17, 1930, increasing tariffs on imported products, promoting a protectionist policy that made international trade more difficult. These choices seriously harmed European countries that traded with the United States. Germany was an industrialised country, however, it was heavily dependent on world trade. 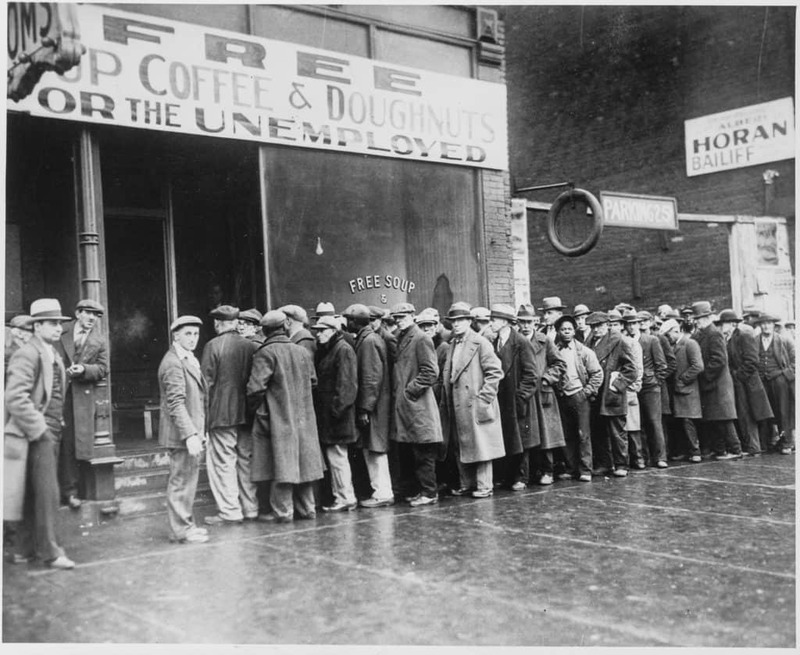 Here, unemployment reached 33.7% in 1931 and 40% in 1932.
not to demand immediate payments from Germany. Reduce borrowing by 90% and require Germany to start issuing bonds to pay the debt. Such a measure would almost cancel the existing debt, reducing Germany’s outstanding obligations from 32.3 billion dollars to 713 million dollars. When in 1933 the Nazi Party took power in Germany, the debt was officially rejected by Hitler’s regime, who completely refused to continue the payments. This caused the bonds issued by the Weimar Republic to become suddenly worthless, to the detriment of the American banks and investors that had bought them. At the end of the Second World War, the winning countries agreed in a 1953 conference that Germany would pay the remaining debt since 1919 only after the unification of the country. However, in 1980 the Federal Republic of Germany paid the amount of the principal debt, and in 1995, after its reunification, the German government announced that it would begin to pay interest. [1.] Klingaman, W. K. (1989). 1929, The Year of the Great Crash. [2.] Seydoux, J. (1932). De Versailles au plan Young. Réparations – Dettes interalliées reconstruction européenne, Paris: Plon. [3.] Seydoux, J. (1929). « Les Réparations et le comité des Experts », dans La Revue de Paris, 15 mai 1929. [4.] Stäbler, Wolfgang. 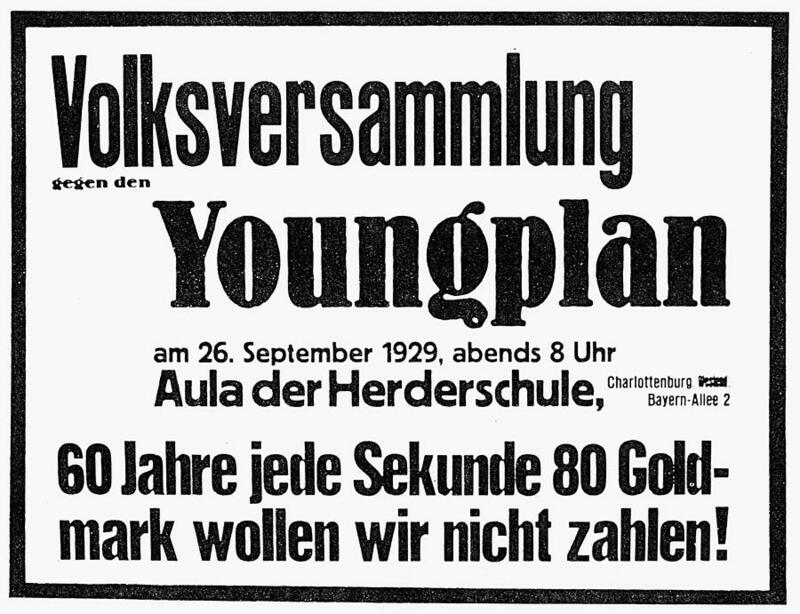 “Young-Plan, 1929/30-1932”. Historisches Lexikon Bayerns (in German). Munich: Bayerische Staatsbibliothek.